If you are looking for a platform to showcase your project, or you have a prototyped idea that you would like to share with the world, then the Vernadsky Challenge is what you need to apply for. The Vernadsky Challenge gives a chance for your hardware startup to gain world’s recognition and by chance receive scientific or financial support from Max Polyakov and Noosphere Ventures. This competition was first held in Ukraine in 2015 and has been annually held in the Ukrainian Youth National Aerospace Education Center since then. This stage was selected for its perfect fit for the spirit of the event and the auditorium capacity to hold the spectators from around the globe. In the health sector, the award is given for innovation of health monitoring devices. In the telecommunication sector, the award is given for the creation of Wireless Audio transmitters. Smart heating control hardware is another sector that has received grants for its innovation ideas. However, the competition faces a number of challenges, the primary challenge being lack of government support and bureaucracy. This has greatly impacted the event negatively such that Ukraine will not be able to hold the 2018 event. However, the event will be staged in the United States. Started as a global tech entrepreneurship competition for girls in Ukraine, it’s hosted by the Innovation Park Unit.City and it’s aimed at schoolgirls. The competition has already seen fifteen teams of girls creating apps for solving issues in the Ukrainian cities. The aim was to engage enough teams who could succeed through all the competition stages and come up with applications for their communities. In addition, the social project aimed to develop a strong network of mentors who are willing to help the girls bring their unique ideas to live and prove all the villages and cities of Ukraine that girls can be tech leaders. The FAI World Cup was held in the city of Dnipro in Ukraine. Dnipro was listed among the top 16 cities in the world that were suitable to hold the international competition for racing drones. The competition attracted over 40 pilots from various cities of the world who took part in the event to win the Noosphere Race Cup with Max Polyakov’s support. It was a major part of the Copter Race 2017. Despite being the first time that Dnipro hosted this kind of event, it not only attracted professional pilots but also non-professional pilots who showcased freestyle stunts and a colorful night show that were a source of entertainment for the spectators. Since 2015, Noosphere Ventures has held a number of drone-related events but the 2017 Copter Race was one of the greatest in the history of the drone events held in Dnipro. Other than the professional Drone Race, it included entertaining Fan Copter League and freestyle sessions. Stunts delivered to the public for entertainment included; dive-bombing, backflips and loop de loop. Drone racing is considered as one of the most promising and rapidly growing sports. Max Polyakov’s involvement in this suggests his interests in social initiatives in Ukraine. The Drone Race and the Copter Race is not only a competition but also a platform to showcase workshop and game zones for children and teens. It also provides a suitable family weekend hangout. The FAI World Championship of space models was held in Ukraine in 2016. The event attracted Space enthusiasts from across the world to showcase their Space Apps. Scientists, engineers and artists from all over the world signed up for this event. This event was greatly supported by Max Polyakov’s Noosphere Ventures and was held in Ukrainian city of Dnipro. The NASA challenge gives participants an opportunity to come up with data-driven technological solutions to remedy the world’s current technical issues. Space enthusiasts from Dnipro were nominated for the NASA Global People’s Choice award in 2017 so as to gain a platform from which they could be heard by the international community. The students were given a platform in Washington DC to participate in Team America Rocketry Challenge. The nominated participants were tasked with the responsibility of creating simulation of in-space conditions. The result was to help create and test solutions that ultimately improve the working conditions of astronauts. Max Polyakov is the man to thank for laying the foundation of such internationally recognized competition that result in the enriching of lives through technological innovation. Fans of the Monster truck events from around the globe are enthusiastic and live for the annual event. The event made its way in Ukraine in 2017 whereby designers of Monster Trucks from across the world were invited by Association of Noosphere to take part in the robotics event. The event is a culture that has grown to be celebrated in most parts of the world, Ukraine being one of the countries with deep roots. The Ukrainian held Monster Truck event awarded designers with cash prizes with a promise of new and improved designs in years to come. 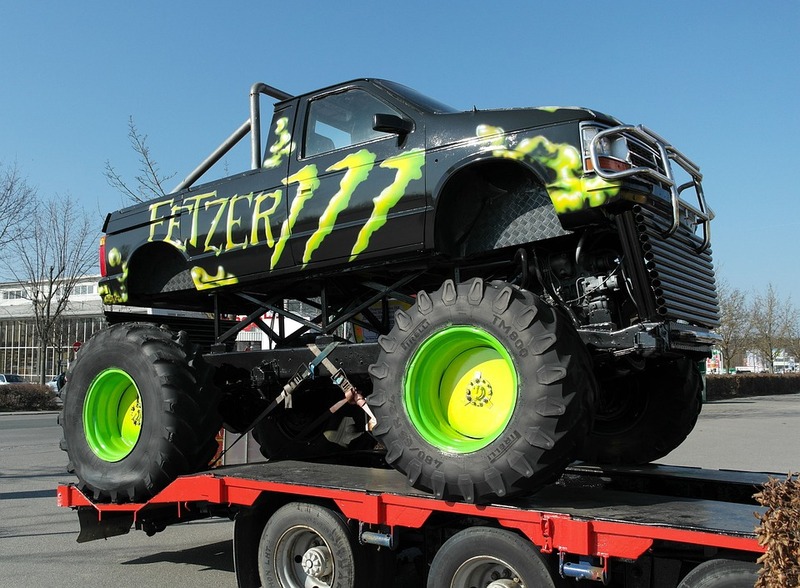 Monster truck events is one of the international events that has been greatly embraced in Ukraine. The events are organized with great support from Max Polyakov and the Noosphere Association. Ukraine, with support from Max Polyakov and Noosphere Ventures have set the pace for international competitive innovations for some of the greatest inventions of our time. The platform has also given an opportunity to young people with great innovative ideas to find scientific, technological and financial support to maximize their projects which in the long run enriches humanity. Other than competition, the events also exploit technology as a means of promoting the well being of humanity through fundraising. Such was held for Haiti back in 2010. Overall, it’s fantastic that people are getting involved in social initiatives in Ukraine, and also in tech projects and conferences. The release of Nat Geo Wild Slots™ by Murka and its co-founder Max Polyakovis yet another level of involvement. Environmental issues are a huge problem all over our planet, and even though this is not related to a tech competition, it’s worth mentioning it as a social project which aims to make an impact. Nat Geo WILD Slots™ strives to bring our focus to trending environmental issues says Max Polyakov and this shows how important it is for key people to get involved with such matters.